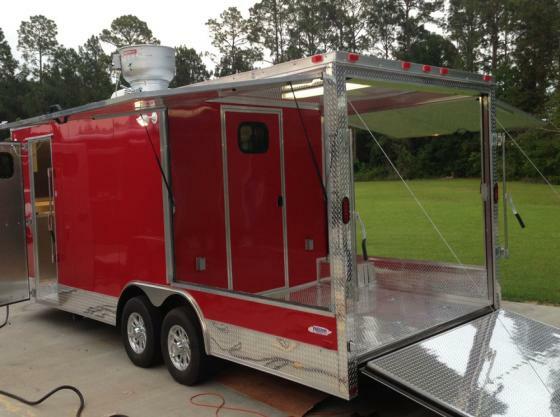 22′ BBQ TRAILER. 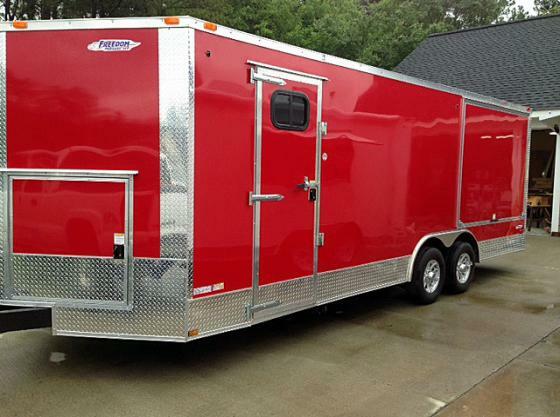 You can purchase this 8.5X22 which offers you a 14′ enclosed kitchen as well as an 8′ porch. 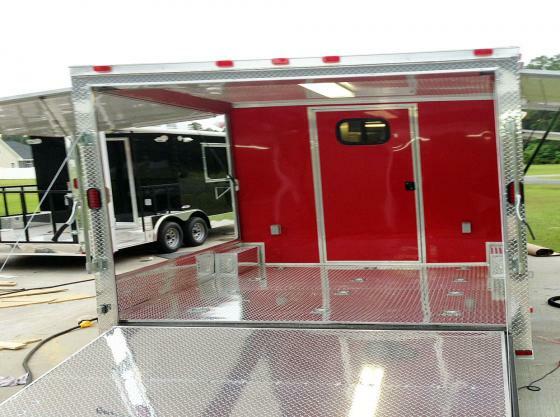 The rear porch can easily be enclosed by your staff with the folding gull wing doors. 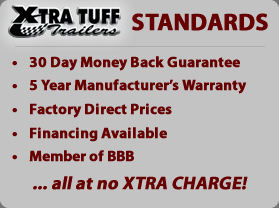 A great feature included with this trailer is 18″ additional tongue length for easier turning. 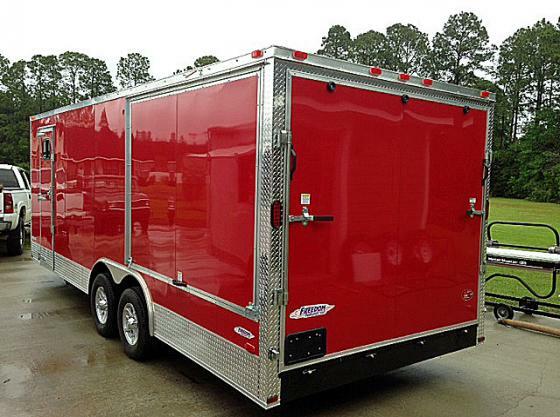 The siding that you will get on this trailer is .030 compared to the .024 of a lot of trailers. Electric Brake-3500 leaf spring axles. 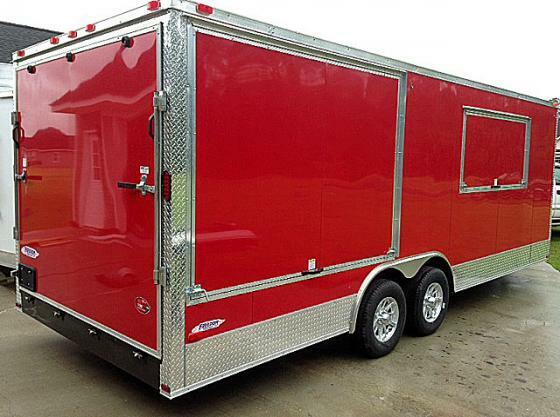 6 inch additional height gives you 7′ interior height rather than 6’6″. Insulated Ceiling and Walls,Interior Mill Finished Walls and Ceiling. Aluminum Tread Plate floor. 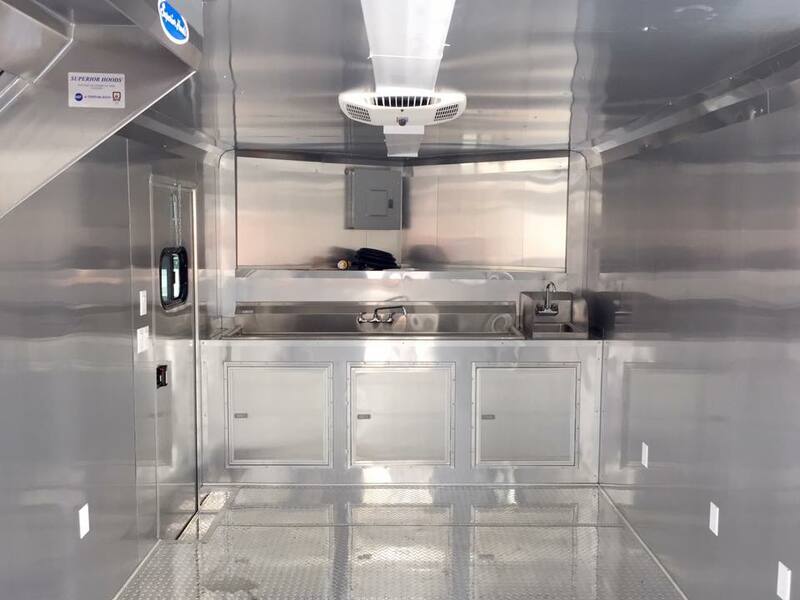 Electrical package includes 2 receptacles ,1 switch and 2 florescent lights, 50 amp panel box with life line Motor base plug for lifeline. Also the 6 additional 110 volt interior receptacles give you easy access to power. 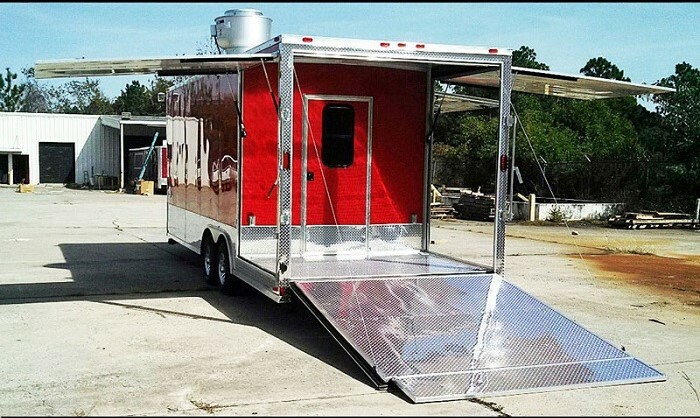 Looking for a concession trailer fit for a “BBQ Pitmaster”? 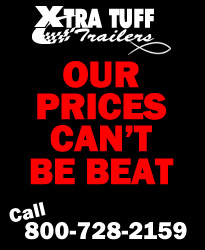 We’ve got that! 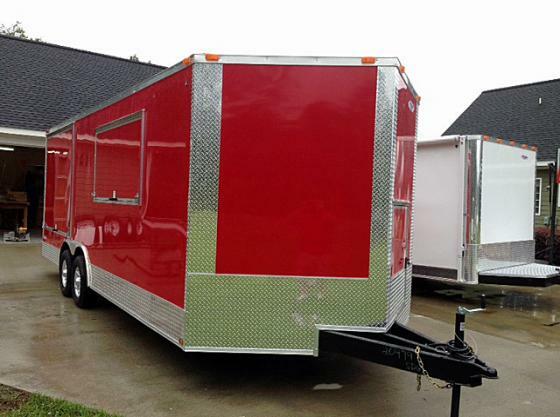 In fact, Pitmaster Myron Mixon owns a Freedom Trailers, LLC concession trailer and uses it regularly on the show!